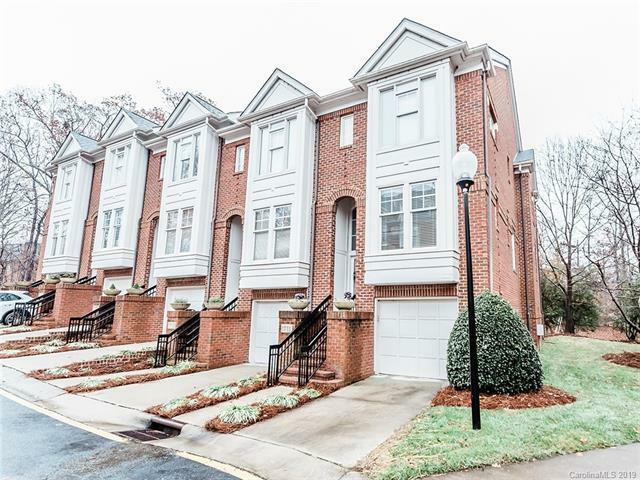 Gorgeous 2BR/2.5 bath South Park townhome with garage! Tons of natural light, all new designer light fixtures and a private patio/courtyard out back! This end unit is a must see, updated bright white kitchen - tile backsplash and stainless appliances. Open floor plan, hardwoods, big rooms. Brand new organizers in master closets. Oversized tandem garage with new coated floor... many options for this space, storage, workout... Plenty of storage in garage. Relax on your private courtyard or at the community pool... or walk up to Phillips Place, Whole Foods, Starbucks or SouthPark Mall for dinner and a movie! Can't beat this unit in this area of town! Come see. Sold by Keller Williams University City.